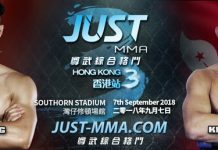 On September 7th, “JUST MMA – Hong Kong 3” will see the return of Bak Tae Ho and Italo Freitas! 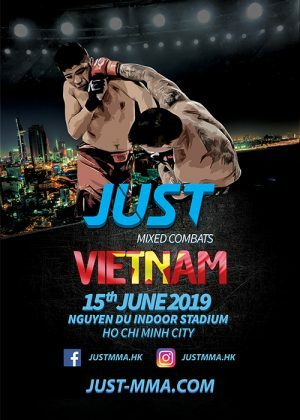 Successfully winning the JUST Macauslot Flyweight Tournament, the 10th Planet Korea prospect Bak Tae Ho will returns to JUST MMA once again to fight the well rounded Italo Freitas. Nickname “Camaleo” , which means Chameleon in Portuguese, Italo Freitas received the name because of his ability to adapt to his surroundings almost immediately. Freitas proved his point in JUST CKF Guangzhou in May by submitting Duman Yerjiang even under a weight disadvantage. 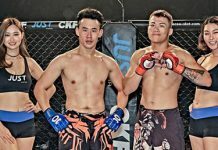 This match between Bak Tae Ho and Italo Freitas is no doubt a fight between the current best flyeweight fighters in JUST MMA.